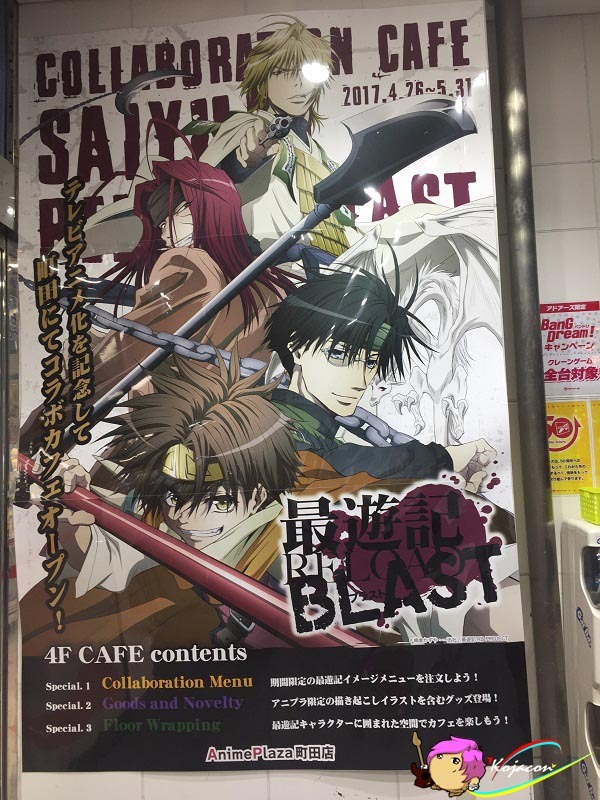 Celebrating the Anime version of Saiyuki Reload Blast which will be airing on next summer anime season, Anime Plaza in Machida produced by Adores published the 13th collaboration Cafe Project “Saiyuuki Reload Blast Cafe” . 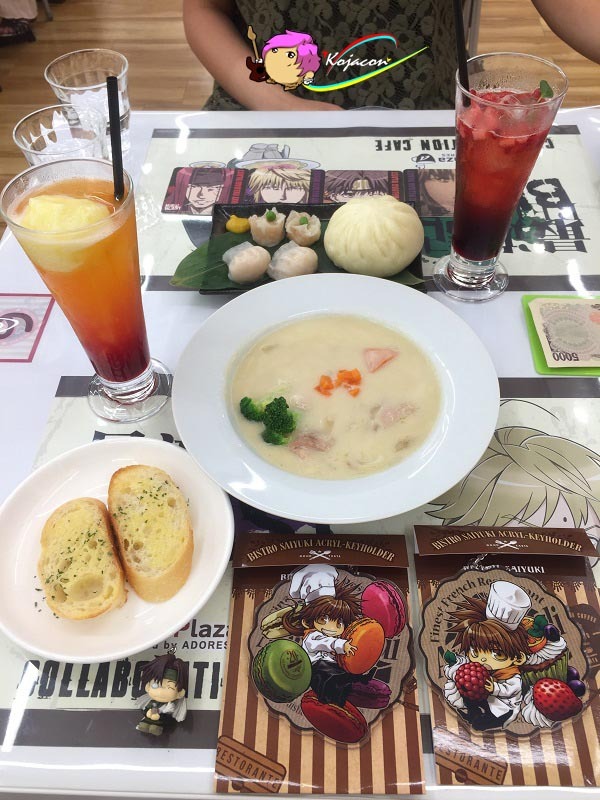 This collaboration project opens from April 26 – May 31, 2017, and the cafe is located near Machida Satation, inside the Taishodou 2nd Building on Anime Plaza 4th Floor. Guess what!? 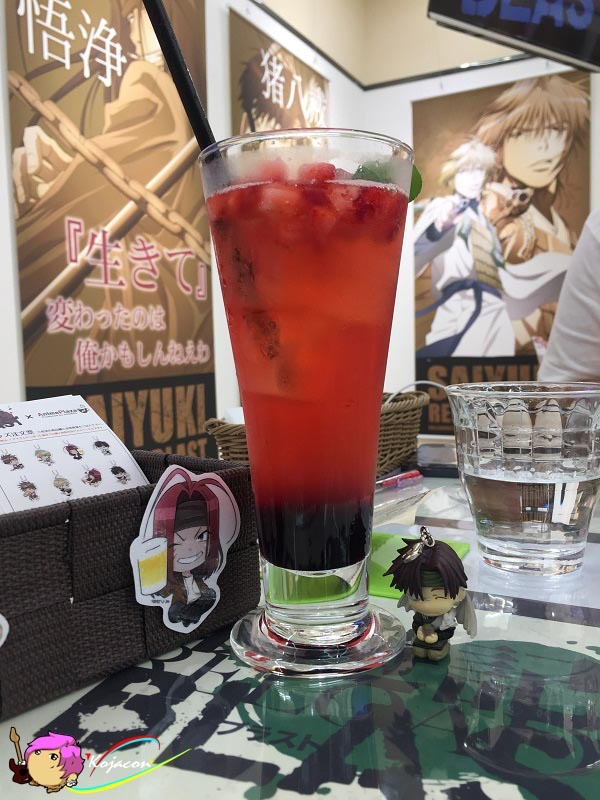 During our visit to Japan last time, Kojacon Team got opportunity to visit this cafe for dinner! 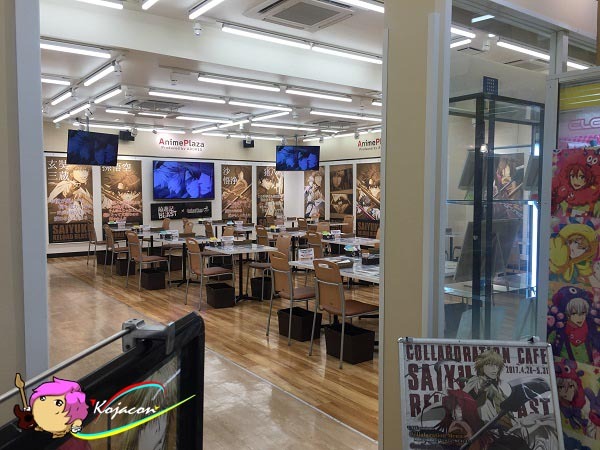 Outside of the cafe, still on the same floor, there’s a game center available. 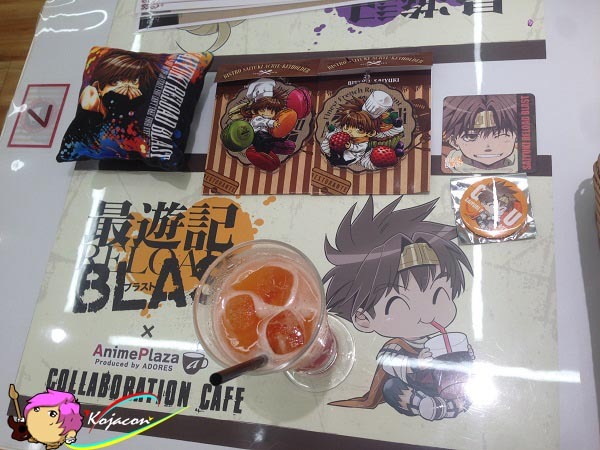 So we can play UFO catcher or gachapon while waiting cafe’s time shift. Curios to see the cafe? Let’s check what’s inside! 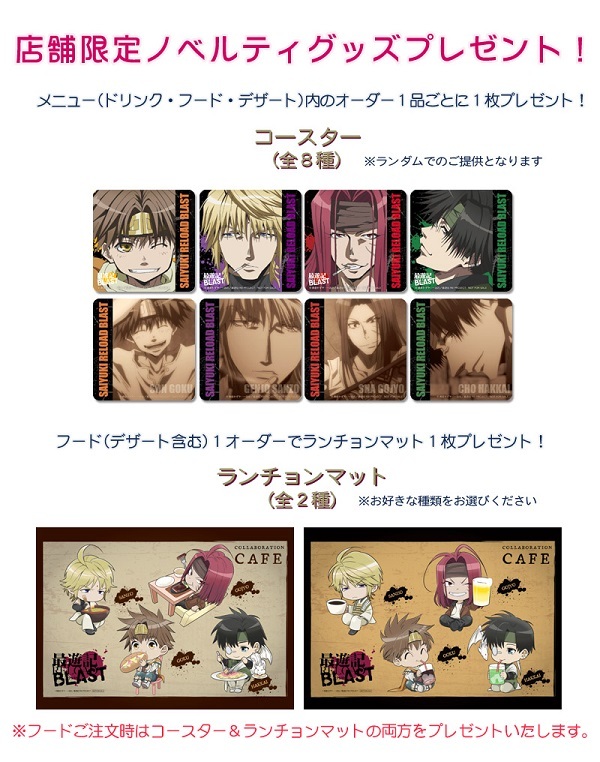 Floor mat, wallpaper, table, and all interior of cafe decorated with Saiyuki Reload Blast’s theme. There’s also 70 inch monitor playing video off all PV. 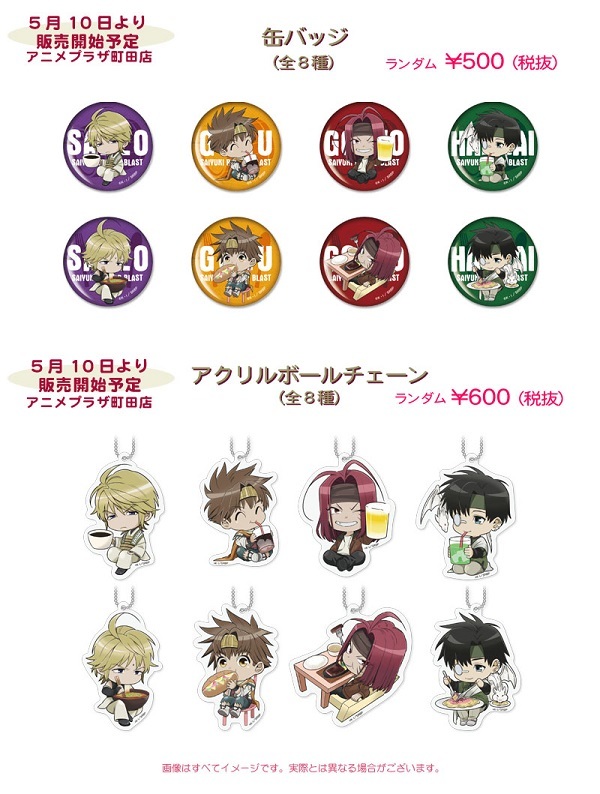 There’s limited items of original goods from cafe collaboration. 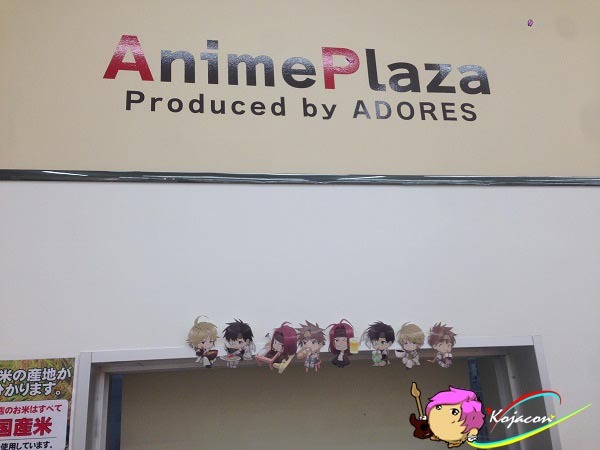 Goods also available at goods corner on 4th floor outside the cafe, so you don’t need to reserve for buying goods. 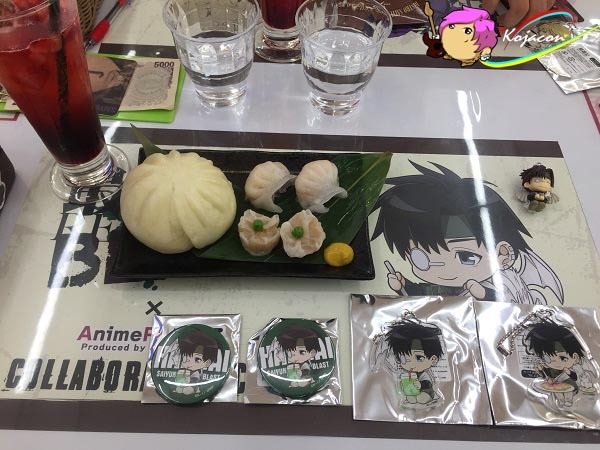 While enjoy eating, a lot of PV teaser and CM were playing on our right side of table. 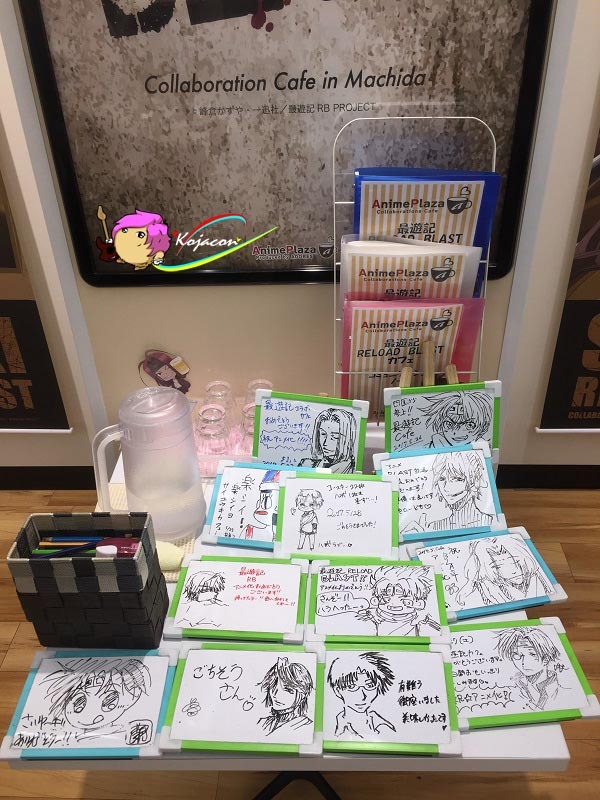 There’s also message board near cashier where we can write or draw Saiyuki’s related stuff or any comment then stick them up on the soft-board which already provided. Beside that, small white boards available to draw or write more messages. 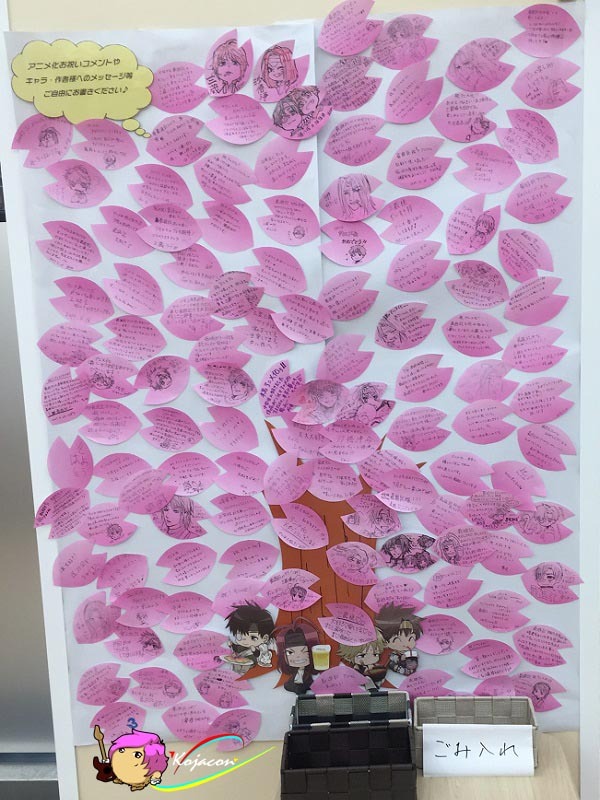 we’re not good at drawing, so we just write few message on the pink sakura leaf and sticked it near the tree trunk on the middle of soft-board. Could you guess which one is our message there? Enjoy the photos and see you around!